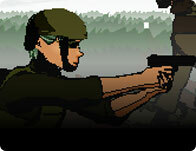 Blast your way through 27 levels of action packed excitement! 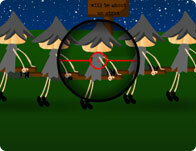 With 4 weapons of choice, new challenging target shooting levels you'll never get bored with this shoot'em up game! It's a rainy day and your aircraft is being attacked by monster droplets! Save yourself! Shoot your squirrel out of his cannon to help him gather nuts for the winter. 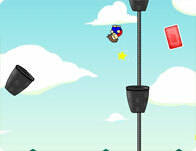 Bounce off tricky wall structures and collect as many nuts as possible! 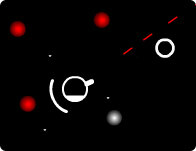 Collect colour fragments on your colour Lens to accumulate abilities used to destroy colourless fragments. Try to restore colour pixels to your world! 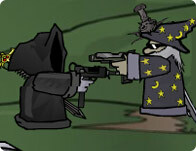 Play as the Urban Wizard and try to protect the bling. 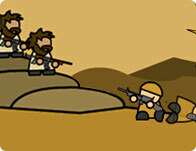 Command your troops as they battle hordes of zombies! 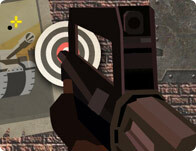 Tons of levels, weapons, and bosses are waiting for you. 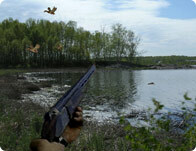 ReBound is a first person target shooting game. 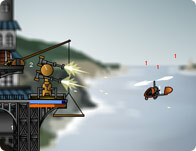 You are equipped with a unique machine gun and must shoot the target that appears on each of the 5 levels. Lay as many eggs as you can before you die! The goal of the game is to manage US vs. Iraq conflict until democracy is installed in Iraq. 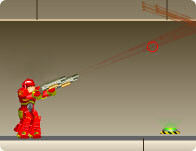 Float around in your hover bot and destroy enemies. 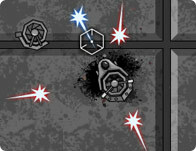 Shoot everything that moves and even things that don't! 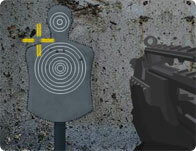 How good are you at shooting? StormWinds 1.5 is a huge upgrade made to the original StormWinds! 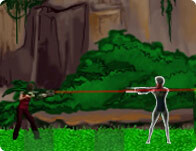 Go through the jungle trying to kill every bad guy for a high score. Defeat the two bosses and escape the Jungle.